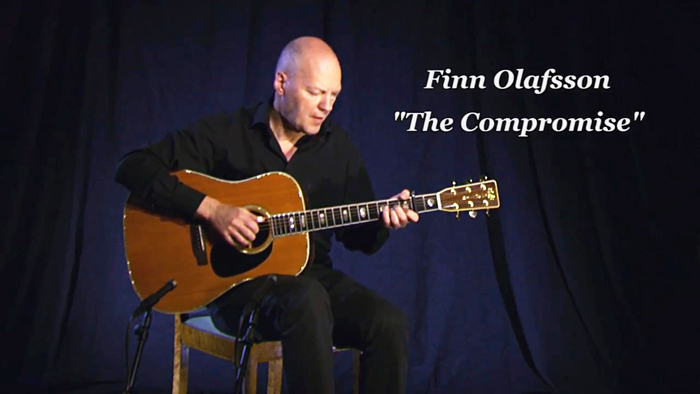 "The Compromise" was originally recorded in 1980 on my second solo-album "Acoustic Guitar". When I wrote it I had the intention of writing a song. You know, a real song with lyrics. Back in the 1970s I often expressed myself not only in music but also in words. In fact, my first solo-album "Savannah" (1976) included some songs with lyrics and I also wrote a couple for my band Ache. But "The Compromise" became kind of an "eye-opener" for me because I had some serious troubles in writing the lyrics for it. Without any lyrics the music in itself expressed what I had in mind - so I decided to forget about the words and instead just play the music. This was a compromise - and it was also the reason that "The Compromise" got it's title. 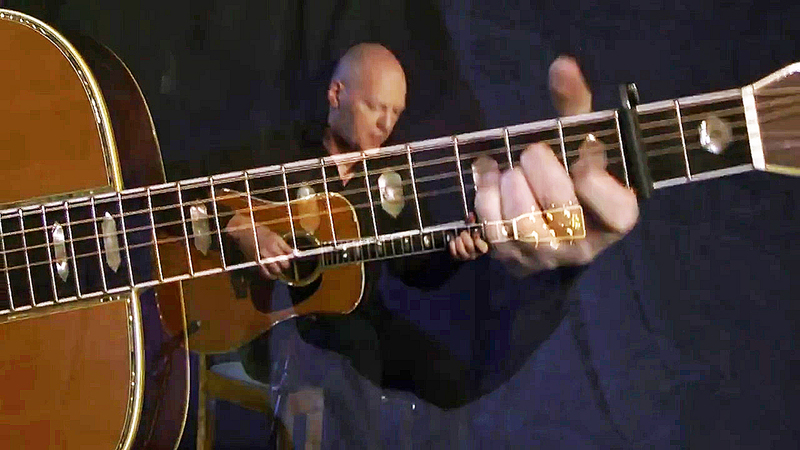 But it was also a turning point for me: I decided that my second solo-album should consist of instrumental acoustic guitar music only - and since then I've had my focus on writing instrumental music for acoustic steel stringed guitar. .
"The Compromise" is one of the guitar pieces of mine which I have played the most. It was on my set list from 1977 and many years ahead - and I played it whenever I got the chance for a solo-spot when I performed with other artists. The guitar tuning is a straight EADGBE tuning. 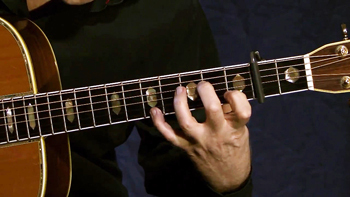 Usually I play "The Compromise" with a capo in the second fret - primarily to make it possible to reach the highest notes in the C parts - and not least to make the tones sound clean. 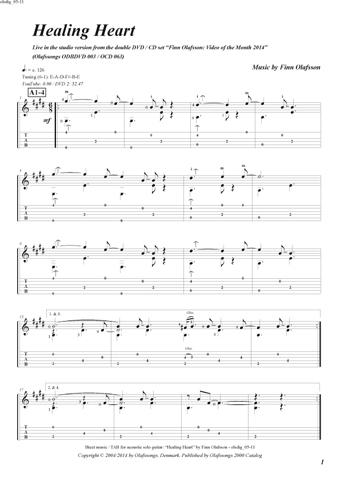 The guitar piece is based on well known standard chords as a minor, G major, C major, Fmaj7, e minor and D major. This should make it easier to deal with for many guitarplayers. You have to use left hand's thumb when playing the bass note in the Fmaj7 and D chords in the B and C parts. 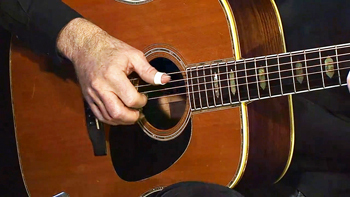 The fingerpicking is a very straight folk fingerpicking with alternating bass. You can play it with the normal "p i m a" right hand's finger position. 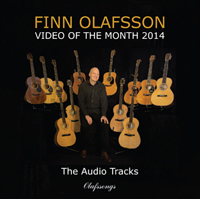 In 2004, the original LP-recording from 1980 was re-released on CD in a re-mastered version with 4 additional tracks (Finn Olafsson "Acoustic Guitar" - Olafssongs OCD 043). 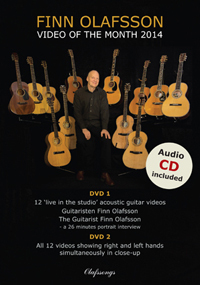 The staff notation and tablature (tabs) is available in the music-book "Finn Olafsson Acoustic Guitar" (Olafssongs OC2002-02). 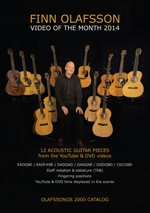 Please go to "CD Gallery - Sound Clips from Selected Albums" on this website for info about ordering. The 1979 Indian rosewood Martin D-45 I played in this video is without any doubt the acoustic guitar of my life. In the 1970s, while I was playing C.F. Martin D-18 and D-28, I dreamed about ordering a brand new D-45. Fortunately my dream was fulfilled in 1979. I ordered a D-45 from the Martin factory through a friend who was registered with a Danish VAT number. It could seem a little risky at that time to buy a guitar without having had the chance to see and play it. But, after having heard the great sound of old prewar D-45s on the recordings of Crosby, Stills, Nash & Young, I had to have a D-45! The D-45 was launched by Martin in 1933. Only 91 guitars were built from 1933-1942. In 1942 the production of the D-45 was discontinued. 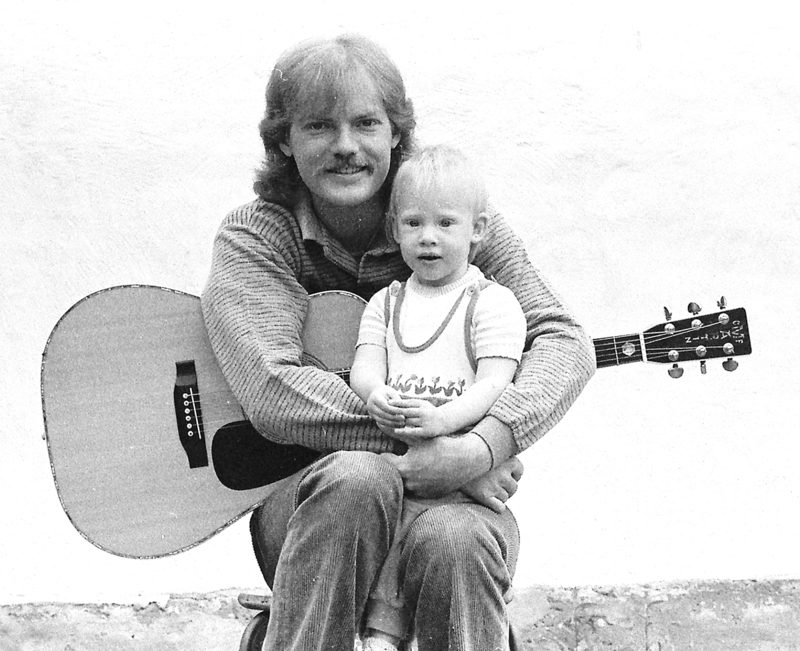 Many years later, in 1968, Martin hired in Mike Longworth to bring back the D-45 to the head of Martin's line. 229 D-45s were then built in 1968/69 with back & sides of Brazilian rosewood - the same kind of wood which was used on the original D-45s. But due to the lack of Brazilian rosewood, from 1970, the production of the D-45 was continued with Indian rosewood. The D-45 has been listed in the Martin catalogue ever since. From first sight, and first chord, I was happy with my new D-45. It has been a great pleasure to play this guitar during the years. As I have stated in the text about the video of April 2014, this D-45 is definitely the guitar on which I have practiced the most, written most music, played most concerts and recorded most tracks. 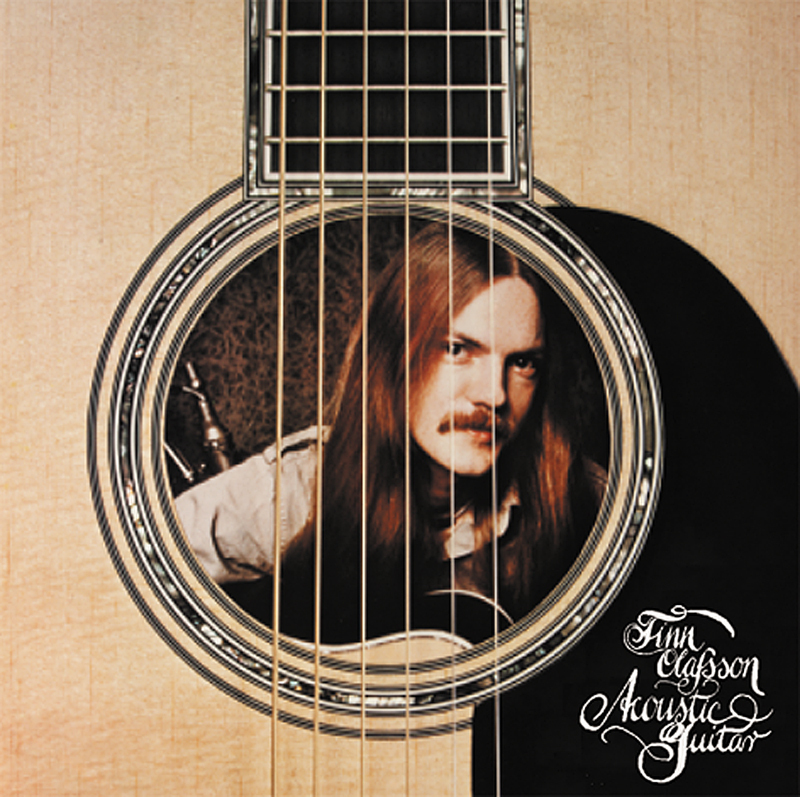 In 1980, it had its recording debut on the "Acoustic Guitar" album where it was featured on the front cover. The recording of "The Compromise", that you hear on the album was actually played on the 1979 D-45. Since then I have played it on approx. five hundred recording tracks. During the years the guitar has aged beautifully. The top has become darker and the bindings have turned yellow. It has had some repairs done, new original tuners have been mounted, a Fishman pickup has been installed, the pickguard has raised a bit and it has got some small scrathes. But still, it sounds and plays like a dream.